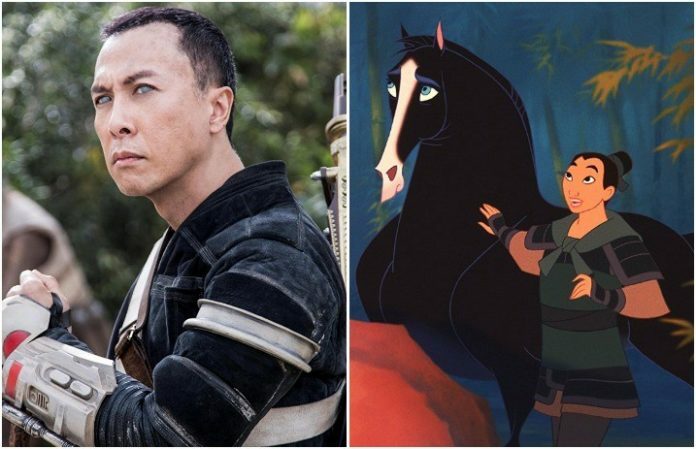 Disney has a whole slew of animated movies just waiting to be turned into live-action adaptations, and we’re beyond excited to see Mulan getting its turn to be put onto the big screens. We’re not sure just how much of an influence Yen’s character will be for Mulan as, in the 1998 animated movie, Mulan served under Captain Li Shang. So while it’s not going to be exactly like the Mulan we grew up to love, we’re still pretty excited to see Yen’s work on the film. The Mulan movie won't be Yen’s first big Disney hit. In 2016, Yen was cast as the blind warrior Chirrut Îmwe in Rogue One. Not much is known about the upcoming movie, but it was previously reported that the that the live-action flick won’t have any music. “From what I understand, no songs right now, much to the horror of my children,” director Nick Caro said. While there may not be any music, yeah we’re slightly freaking out about that too, the movie won’t be too boring. “It's a big, girly martial arts epic. It will be extremely muscular and thrilling and entertaining and moving,” Caro says. We also know that the movie is now scheduled to be released on March 27, 2020, rather than the original release date that was planned for Nov. 2, 2018.